Hiya, friends! Today I’m sharing 5 of my favorite Amazon products from this past month. 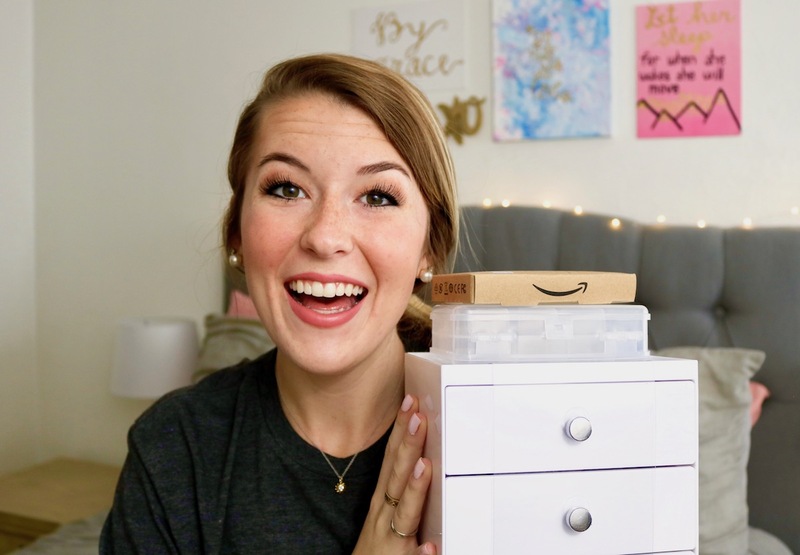 I’ve been doing some back-to-school shopping and I’ve been working on some little home-organization projects here and there to make life a little easier. That’s where these items come in! There isn’t one specific ‘genre’ of products, but all of them were things I needed something juuust right and didn’t want to break the bank with, and as we all know, Amazon is always the answer! I’ve got a few helpful tech products, some designer shoes (for a way better price than other retailers) and some easy organizers for a happier home, so I hope you’ll check out this video (and maybe subscribe?)! This post contains affiliate links , which means I may make a small commission from purchases through them, at no additional cost to you. Thank you for supporting my blog and the products I want to share! See Disclaimer for further detail. Amazon Tripod – I use this for filming all my videos! Amazon 6-ft iPhone Charger – I use my phone as my alarm clock, so this makes it easy when outlets aren’t nearby. Sam Edelman Carter Sandals – They run very narrow, especially compared to the more expensive Tory Burch Miller. I wear a 8.5W. White 3-Drawer Organizer – After I bought this, I saw the same exact one in a store for $5 more! Clear 10-Slot Organizer – I bought this to organize letters for my letter-board! I hope you enjoyed this post! Do you like shopping on Amazon? Have you had any good finds there recently? I love shopping for books there as well to get the free shipping! Cool haul girl! Definitely great buys!